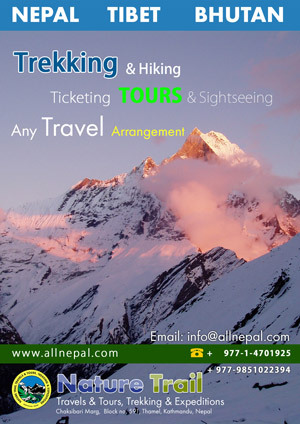 World Rhino Day celebrated | Provides complete information about Nepal‘s local product, business, news, events, coupons, local hero, local model, local culture, travel, trekking, biking or anything that related to Nepal. In an effort to contribute to the fight against rhino poaching, the 3rd World Rhino Day is being celebrated in Nepal and other countries with the theme “Five Rhino Species Forever”. On the occasion, various organisations working in the field of rhino conservation have organised various programmes including morning rally, interaction, and essay competition in Chitwan. An awarness rally was taken out in Sauraha of Chitwan to mark the day. A recent study found that there are 534 rhinos in Nepal. Chitwan National Park is home to 503 rhinos, an increase of 95 from 2008 data. The number of rhinos in Bardia National Park is up by two from the 22 found in 2008. Seven of the rhinos were found in Shuklaphanta Wildlife Reserve, up by two since 2008. Amidst incidents of illegal poaching of one-horn rhinos, due to the protection measures taken by WWF and the government agencies, the numbers of endangered rhino is rising in Nepal.